We want to welcome you to our new website, after Dave turned Steiner New Parts for Old Tractors over to his children 14 years ago he has gone back to his roots. What we call the salvage yard. Dave has well over 200 tractors for sale, anything from restore projects to tractors you can still use today. He also has parts that are hard to find today, and when we say parts we mean parts. Even at his age you will not find Dave sitting around, he is out tearing apart a tractor or cutting firewood with a belt driven tractor. Looking for a decent original 28″ rim for a 1949 8n Ford tractor. I do not need the center hub as I have 2 of them now. Also looking for a front bumper for the 8n as well. If you should have these parts, what would these 2 parts cost me. I’m in the process of rebuilding my 1977 IH 184 LoBoy and need a few parts to get it running again. Do you one in your yard that you might consider selling. I’m also looking for a non-running but rebuildable C-60 engine. Please let me know if you can help me out. Sorry for the late delay, we do have the rims you need for your Ford. I will work on getting them listed on our website right away. We do have a lot of IH tractors on site, we will also get them listed asap for you to see. You can always stop in or call our store to see what we have. Mike we have listed the 28″ top hat rim you are looking for, in the shop for sale. You can always call us to get more information also. Sorry for the delay, we have many John Deere parts, I will check with our parts department and if we have any get them posted for you right away. Dale, we do have a hydraulic line for a John Deere 40 S, our in house parts guy says that it should work for you, I will be listing it tomorrow for you to see in the website shop. Would love to see the list and hoepfully photos of all the old tractors Grand Blanc has in its salvage yard -especially Allis Model Cs. Are photos or at leats a list accessible on line? We are working on adding a list with photos now, you can always go to our eBay page and see some of the products we currently have listed. You will find about 12 – 16 tractors currently on our eBay page. I was wondering if you had any co-op or cockshutt parts or part tractors on hand. I will be at the Stiener store Saturday and would like to see what you have then if possible. Thank you very much. 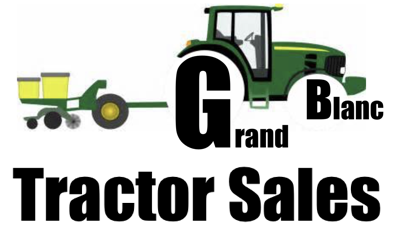 Grand Blanc Tractor is on Dixie Hwy, located at 10096. However, you will always want to call first as we might not be there. Our phone number is 810-694-5314. We do two Cockshutt 30 / 40 parts. can you supply a helper spring for an IH cub fast hitch? If so what would be the cost? I am looking for a front bumper for a 1964 Ford 4000, new or used? You can contact Dave at 810-694-5314, he can tell you if he has that part. I know he has a lot of Fort parts for the 8N. We have a lot of Super H parts in house, if you contact us at 810-694-5314 and we will be more then happy to help you if your still in need. I’m looking for the bar that connects from the plow to the tractor on a 1951 Farmall Cub, I was wondering if you would have one? 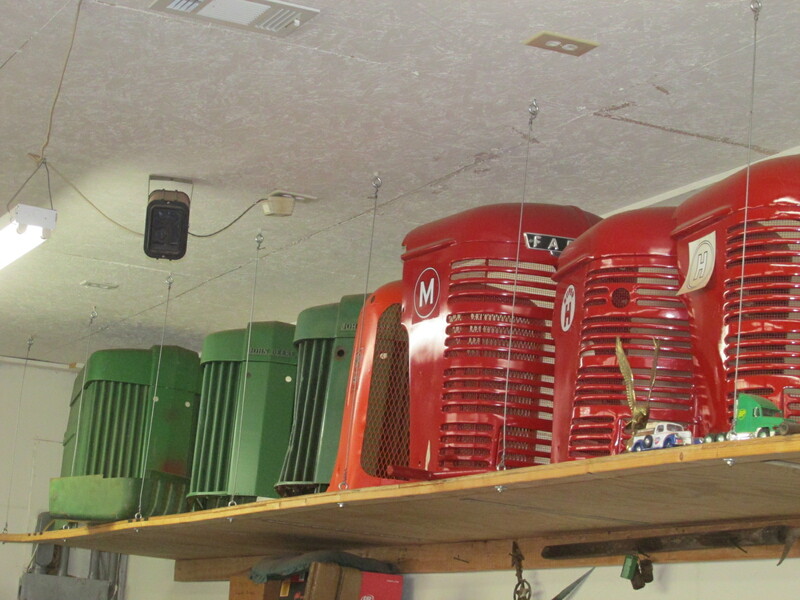 We have a lot of Farmall Cub parts, if you call our store at 810-694-5314 we would be more then happy to help you. Have a 1940 Farmall H. Discovered radiator fluid in the oil pan. Pulled the head and I see 3 cracks. Any chance you have a perfect head for a 1940 Farmall H??? Fingers crossed…. We have a lot of H parts on hand, you can call us at 810-694-5314 and we can tell you what we have. We have many parts on hand, if you want to call us at 810-694-5314. I can see if we have parts for you or we might be able to point you in the right direction. Did your staff purchase a 1953 Farmall Super M (F4500J) on May 14, 2018 in California? We did not, but we do have some Farmall Super M tractors on hand. Are you looking to buy one? Do you have your email address listed somewhere on the site I cannot seem to find it. I am in the market for a Massey TO-20 or Ford 9n I was wondering what you currently had in your inventory . We do have a Ford 9n on hand, if you want to leave us your phone number we will call you letting you know what we have, we have well over 200 tractors on hand as of right now. Yes, I have a Farmall wide front, it would be $1550 with exchange. You can call if you have more questions.